Sodium phosphate monobasic is a reagent with very high buffering capacity widely used in molecular biology, biochemistry and chromatography. Useful in conjunction with Sodium Dibasic Phosphate, in the preparation of biological buffers. 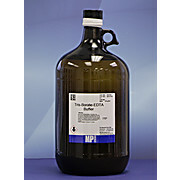 Used in many applications including the purification of antibodies. MOPS is a zwitterionic amino acid which acts as one of the "Good" buffers. Concentrations higher than 20 mM should not be used with mammalian cell cultures. 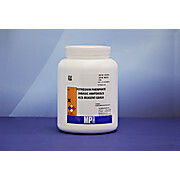 MOPS is a zwitterionic amino acid which acts as one of the "Good" buffers. It is a structural analog to MES. However, MOPS is a more suitable biological buffer than MES because the pH range is closer to pH 7.4. Used as a buffer in biological research. HEPPSO is an efficient separator in protein resolution by IEF. HEPPSO is a Zwitterionic hydrogen buffer. Tris is an excellent biochemical and biological buffer for all applications where ultra high purity is required.